Before Jimmie Johnson’s crew celebrated winning the Daytona 500 with the Harlem Shake, another moment from the ‘Great American Race’ was setting social media on fire. 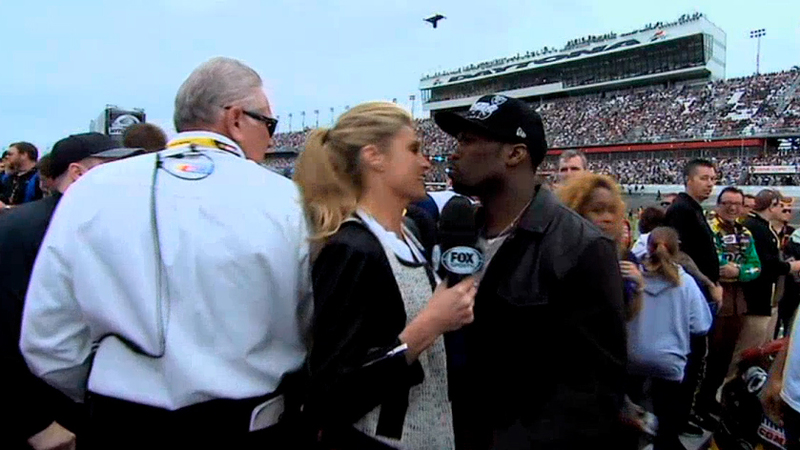 On a tightly packed Daytona International Raceway pit road, FOX Sports reporter Erin Andrews had an unexpected run-in with rapper 50 Cent, leading to one of the most memorable and awkward moments in recent NASCAR history. Watch as some of NASCAR’s biggest names discuss the close encounter.